The ACCEL team has a broad range of education, skills and experience. Would you like to join our team? Feel free to send us your details. 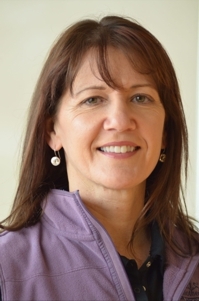 Karen graduated from the Dalhousie University School of Physiotherapy in 1991 and also completed her Bachelor of Science degree in Kinesiology. She attained the post-graduate specialization Diploma in Sport Physiotherapy in 1997 and the Diploma of Manual and Manipulative Therapy in 2003. 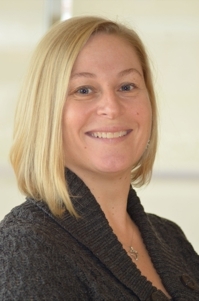 Karen has worked in private practice, treating orthopedic and sports injuries since graduating. She works with athletes at local to international sports events. She has travelled with many national teams. 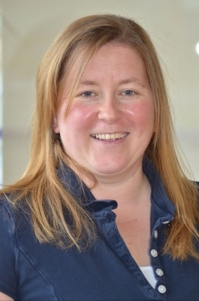 Karen attended the Olympic Games in Athens (2004), Beijing (2008), PyeongChang (2018) and the Commonwealth Games in Scotland (2014) as part of the Canadian Health Care Team. 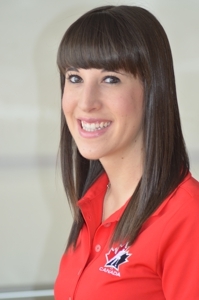 She has a special interest in pediatric sports injuries. Karen has attended six Canada Games and worked with Hockey Nova Scotia, Hockey Canada and Soccer Nova Scotia. She was the Polyclinic Manager and Lead Physiotherapist for the 2011 Canada Winter Games in Halifax. Jodie graduated from the Dalhousie School of Physiotherapy in 2000. She has advanced credentials in manual and manipulative therapy. Jodie has also completed her Level 1 acupuncture and is a Sport Physiotherapy certificate candidate. Jodie worked in private practice/sports medicine clinics in Barrie and Toronto before joining the Medicine in Motion team in 2006. 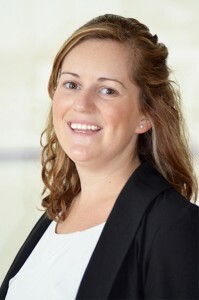 She has an interest in treating orthopaedic and sports injuries. Jodie has provided medical coverage for regional and national sporting events, including soccer, ringette, figure skating and gymnastics. She also volunteered at the 2011 Canada Winter Games in Halifax. Monique graduated from the University of Ottawa with Bachelor of Science in Physiotherapy in 2003. Monique has completed the Level 3 of the Orthopaedic Division of the Canadian Physiotherapy Association. 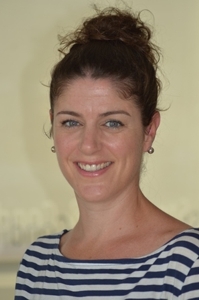 She has also pursued further focus on manual therapy skills by completing her Certificate in Orthopaedic Manual Therapy in Australia. In 2015, she completed the Masters of Clinical Science (Manipulative Therapy) program at Western University and became a Fellow of the Canadian Academy of Manipulative Physiotherapy. 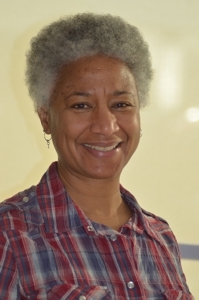 Monique has taken several courses related to functional movement screening/assessment, acupuncture, dry needling and is also a STOTT PILATES trained instructor. Monique has also provided medical coverage for various sporting events including hockey, ringette, soccer, gymnastics, and ski patrol. Cynthia graduated from University of Toronto with a Bachelor of Science in Physiotherapy in 1982. Cynthia's background in orthopaedic and sport medicine allows her to use her hands-on skills and exercise prescription to maximize each patient's rehabilitation goals. The main focus of her treatments includes manual therapy, exercise prescription, acupuncture and kinesio taping. She also has advanced credentials in Vestibular Rehabilitation. 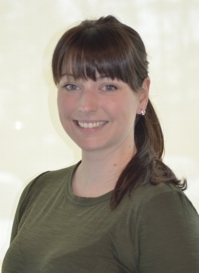 Meredith graduated from the Dalhousie University School of Physiotherapy program in 2012. She previously completed a double major in Kinesiology and Nutrition at Acadia University in 2010. Meredith has extensive experience in the sport and has obtained the Certificate in Sport Physiotherapy and the Complete Concussion Management certification. She is currently studying for her Diploma in Sport Physiotherapy. 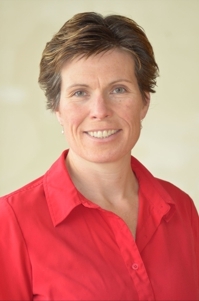 Meredith has worked with Hockey Nova Scotia's high performance provincial teams, Hockey Canada national training camps, Chief Therapist Canadian National Skating Championships, Halifax Rainmen, 2011 Canada Winter Games, and the Acadia and Dalhousie University soccer teams. She is currently the Physiotherapist with the Landworks Gulls Major Bantam Hockey team. 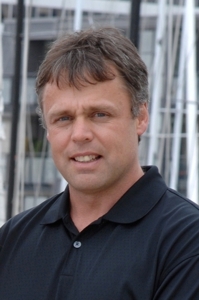 Erik graduated from Acadia University in 2013 with a Bachelor's degree in Kinesiology. He was a member of the varsity soccer team. Erik graduated with a Master of Science in Physiotherapy from Dalhousie University in 2016. He excelled in musculoskeletal physiotherapy and has a specific interest in sport related injuries. 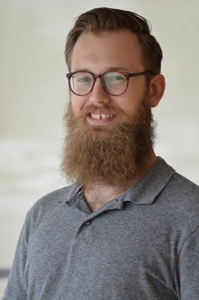 From 2016-2018 Erik worked at the Acadia Sports Therapy Clinic and has just moved back home to Halifax to continue his career with the ACCEL team. Outside of work Erik continues to play soccer year round, loves to ski in the winter and also enjoys playing guitar and country music. Dr. Ashley Lilly completed the Doctor of Chiropractic program at Canadian Memorial Chiropractic College. She completed the Contemporary Medical Acupuncture program at McMaster University and is one of five practitioners in Nova Scotia that are full body certified in Active Release Technique (ART®). She is also certified in Complete Concussion Management and R2P Concussion Management. Dr. Lilly explores beyond the area of pain to best assist her patients in returning to activity following an injury. She has worked with the ACCEL Hawks Major Bantam hockey team, Metro Boston Pizza Female Midget AAA hockey team, Hockey Nova Scotia High Performance Program and covered numerous local sporting events. Dr. Rebecca Wynn completed her undergraduate degree in Kinesiology at Acadia University before graduating in 2014 from the Canadian Memorial Chiropractic College (CMCC). Dr. Wynn is certified in Contemporary Medical Acupuncture, Sport First Aid and Complete Concussion Management. She utilizes a variety of treatment techniques such as soft tissue therapy, active release techniques, instrument assisted soft tissue therapy, electrotherapies, laser therapy, acupuncture, joint mobilizations and manipulations, as well as exercises in her practice. Sabrina has more than 15 years of clinical experience working in a holistic environment. She graduated from Northumberland College in 1999. Sabrina specializes in treating clients with chronic pain, neck and shoulder tension, nerve damage and back pain. She also treats conditions such as sports injuries, mastectomy related scar tissue, motor vehicle related injuries and pregnancy massage. Sabrina incorporates techniques such as myofascial release, lymphatic drainage, kinesio taping and fascial stretch therapy into her treatments. Yvette graduated from the University of Manitoba with a Bachelor of Physical Education. In 2007, she graduated from ICT Northumberland College, with honours, in Massage Therapy. 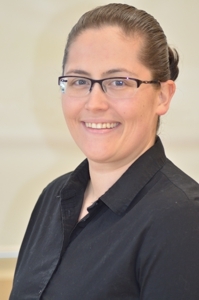 Yvette has advanced training in Sport Massage, Fascial Stretch Therapy and Myofascial techniques. Yvette recently returned to Nova Scotia after living and working in Alaska for four years. While in Alaska, Yvette had the opportunity to work with a few professional hockey players from the Alaska Aces hockey team as well as Iditarod world class dog sled mushers. Tina graduated from St. Francis Xavier University in 1994 with a Bachelor of Science in Physical Education and a Bachelor of Education. In 1999, she received her diploma in massage therapy from Sault College and is currently a Sports Massage Therapist candidate with the CSMTA. Tina is passionate about sports - as an athlete and as a volunteer. She has volunteered at the Canada Winter Games, World Junior Hockey Championships, World Junior Volleyball Championships and many other sporting events in the Maritimes. 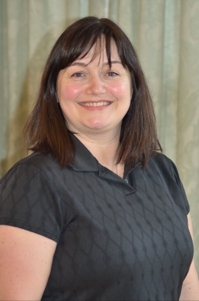 Tina specializes in Myofascial Release, Sports and Deep Tissue massage, and repetitive strain injuries. Jacqueline graduated from the Canadian College of Massage and Hydrotherapy in 2013. 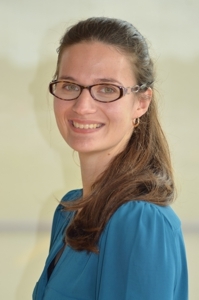 Jacqueline specialized in Chronic Pain and Neurological based disorders. She is versed in numerous musculoskeletal conditions both chronic and acute. She is also experienced with ALS, CP, whiplash and back injuries. Jacqueline uses various treatment methods, including but not limited to myofascial techniques, trigger point therapy, shiatsu, cupping, hot stone massage, aromatherapy and deep tissue massage. Her passion is in rehabilitative treatments, chronic pain and injury prevention. Chris is a recent graduate of the ICT Northumberland College Massage Therapy program. He also completed the first level of NeuroKinetic Therapy, a form of manual therapy that combines motor control theory and manual muscle testing to pinpoint why you are in pain. Chris is focused and driven to help you experience relief from pain and to find out what you can do to help heal yourself. Focusing on the use of NeuroKinetic Therapy and deep tissue therapy along with relaxation techniques. Andrea graduated from the Canadian College of Massage and Hydrotherapy in 2018. 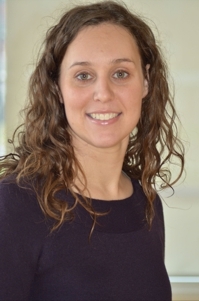 In her training as a Massage Therapist, Andrea focused her studies on sport injury, arthritis and pre/postnatal care. She also completed her certification in Cupping. As a Personal Trainer, Andrea has worked with client goals ranging from postural restoration to injury rehabilitation and sport specific training. She recently completed Bone Fit™ training. In her spare time, she enjoys triathlon training. She is a 2x Ironman Finisher and a member of Team Canada for the 2016 ITU Long Distance World Championships. Crystal graduated with a diploma in Massage Therapy from the Canadian College of Massage and Hydrotherapy in 2013. She graduated with a joint major in Psychology and Sociology from St. Francis Xavier University while also playing Varsity Women's Hockey. Crystal participated in the Sports Massage Outreach while attending CCMH and treated a variety of ailments from muscle strains and sprains to whiplash and preventative care of not only athletes but the general population. She has specialized training in deep tissue, cupping massage and fascial stretch therapy. Crystal stays active by playing ball hockey, ice hockey, hiking and stand up paddle boarding. Kaitlin completed a Master of Science in Occupational Therapy from Dalhousie University in 2017. Kaitlin has experience in hospital and private practice settings with individuals with a wide range of health conditions. She has an interest in chronic condition management and mental health, and has completed training in Solution Focused Therapy, Mindfulness Meditation, and Neuro-Visual Postural Therapy. Kaitlin celebrates diversity and looks forward to working with people of different ages, backgrounds, abilities, genders, sexual orientations or identities. 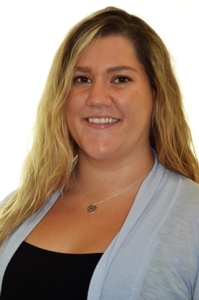 Kaitlin offers ergonomic assessments, home visits, Job Site Analyses and Return to Work planning. She also works with individuals with concussion symptoms, ADD/ADHD, and behavioural, emotional or physical challenges that may be affecting their work, school, or everyday lives. Kelley graduated, with distinction, with a Bachelor of Science in Applied Human Nutrition from Mount Saint Vincent University. Kelley has been a Registered Dietitian since 1999. Kelley completed a Diploma in Sports Nutrition through the International Olympic Committee's Medical Commission. She is one of a few Canadian dietitians with this qualification. Her experience as a competitive athlete allows Kelley to combine nutrition theory with real-life experience to provide meaningful nutrition guidance to athletes at all levels. Kelley has worked with the Dalhousie Tigers Varsity Athletic program; specifically, the varsity soccer teams and the women's varsity volleyball team. 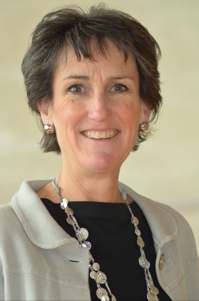 In addition, Kelley has a special interest in weight management and has completed the highly recognized Certificate of Training in Adult Weight Management provided by the American Dietetic Association. Sandra graduated from the NSCC in 1981 as an LPN and worked 10 years at the NS Rehabilitation Centre working with spinal cord, stroke, amputee and head injury patients. For the next 5 years, Sandra was a Home Health Care Manager for Lawton’s Drugs. This involved educating clients about diagnostic equipment, mastectomy products, compression stockings, bracing and general health care products. 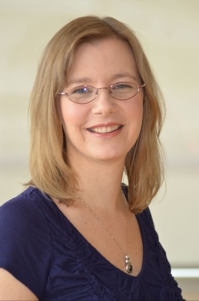 In 1996, Sandra worked as Bracing/Retail Specialist and became interested in pedorthics. She has obtained the Certified Pedorthic Technician and Certified Pedorthic designations. Sandra has been working as a Certified Pedorthist and has seen many clients with various foot and lower extremity conditions. Sandra speaks both English and French fluently. Shawn is active in the sport community by volunteering to coach young athletes, work as an official, organize adult recreation programs. He attended the 2007, 2009 and 2011 Canada Games as a member of the Team Nova Scotia Mission Staff and was involved in the Jeux de l'Acadie in 2008. He stays active playing hockey and as a triathlete, participating at local and international events, including two Ironman Triathlons. His role at ACCEL Physiotherapy is to provide leadership for our sport event coverage and partnerships as well as finances and marketing.